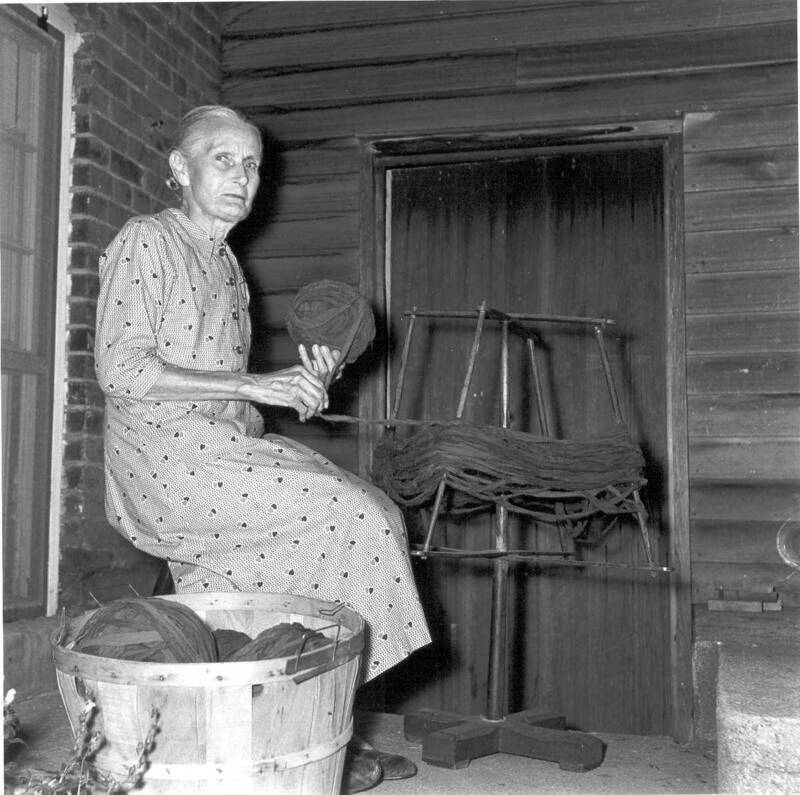 Ida Hertel winding rag strips, which were sewn end to end, into balls. Later the balls would be woven into carpet strips. 1 photograph: b & w; 8 x 10 in.